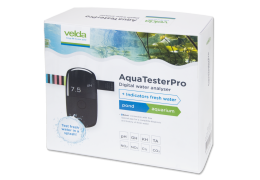 The AquaTesterPro measures the most important water values in just a few seconds. A clear idea of water quality is important, particularly if you have fish and plants. This electronic water analyser allows you to check water quality often and easily. The digital test results are very accurate and they can be sent to your smartphone or tablet via bluetooth. The AquaTesterPro app uses the values for a complete diagnosis and history of the water. 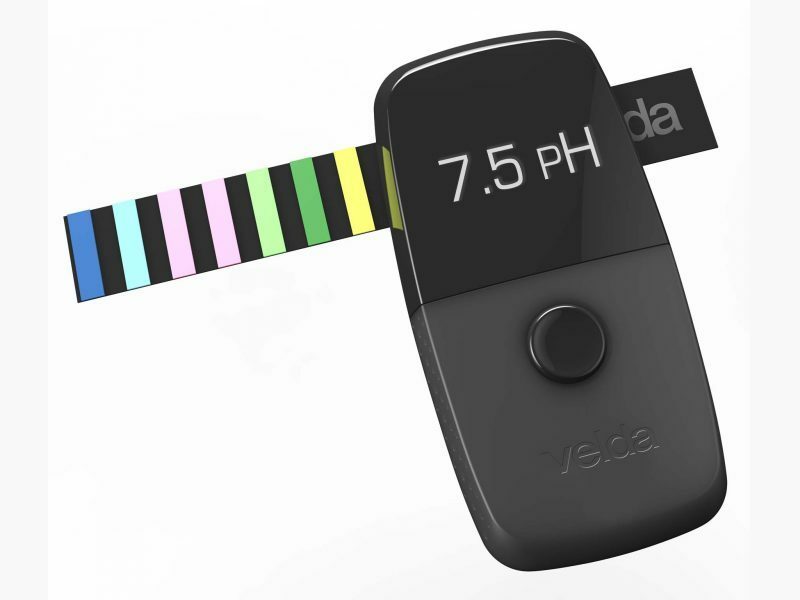 You then receive smart advice from Velda to maintain water quality and prevent any problems. 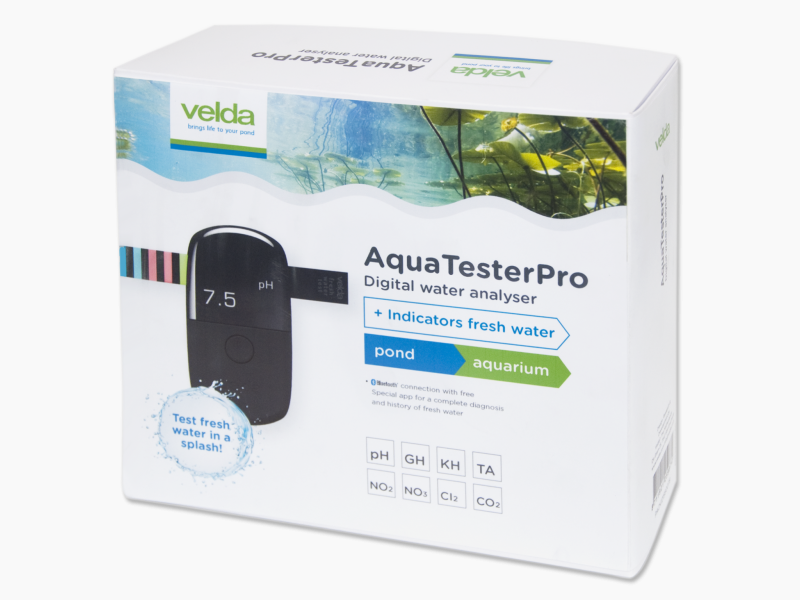 The AquaTesterPro with freshwater indicators from Velda measures the most important water values in ponds and aquariums – but also, for example, in surface water and groundwater – in just a few seconds. pH, GH, KH, TA, NO2, NO3, Cl2 and CO2. Also available: indicators for testing PO4 (phosphate) and NH3/4 (ammonia/ammonium). Works with 3 AAA batteries. If you want to know exactly when? Sign up to our Pond newsletter and we will keep you posted.